Situated at the confluence of the Grand and Speed rivers in Waterloo Region, the City of Cambridge is an amalgamated entity that brought together the smaller towns of Preston, Galt and Hespeler in 1973. Yet, in many ways, each town retains its own personality. That fact may be most true when it comes to the neighbourhood feel that is growing in a rejuvenated Hespeler, a riverside downtown that is evolving steadily, according to Cory De Villiers, vice-chair of the Hespeler Village Business Improvement Area. For instance, O & V Tasting Room specializes in dozens of varieties of olive oil and vinegar along with fresh baked bread from artisanal bakers and cheese-makers, as well as gourmet goods from a range of crafted producers. There’s pizza and sub sandwiches available in the downtown core, and restaurants like the Village Eatery prepare dishes such as home-made burgers and fresh-cut fries and shawarma. You can also head to Indulge for ice cream on a nice, hot summer night or grab a coffee at Crème Café. There’s something for everyone. Nearby, there’s whiskey, wine, and tapas, as its name states, at the 34 seats of the cozy Aging Oak, where the original Monty’s was first located a few years ago. “They have sharing plates ranging from what you might expect of traditional Spanish tapas to small, savoury plates that feature whiskey and wine elements in the ingredients,” according to De Villiers. “What you find is whiskey- and wine-aged foods, for example. Ernie’s Roadhouse, a long-standing Queen Street business, has new owners who, since about a year ago, have completely revamped the menu to include from-scratch dishes and continue to re-furbish the interior of the building. “It’s your traditional kind of pub fare but done properly,” De Villiers says. The Village Well Irish pub is attached to a bakery with whom they share a kitchen. “It has great ambiance,” he says. Brownstones Gastropub prepares fresh food. “The chicken wings are awesome,” says De Villiers. “Where a lot of people claim the best wings, well, these guys have a legitimate case for saying their wings are right up there.” Beneath the pub, Stables Farm-to-Fork Bistro is being built and is in the finishing stages, at the time of this writing. There’s much more to come to the downtown as well, De Villiers indicates. “We’re currently recruiting a restaurant to take space right on the edge of the river,” he says, adding that a graffiti artist is creating a wall-sized mural on one of the river-front industrial buildings. 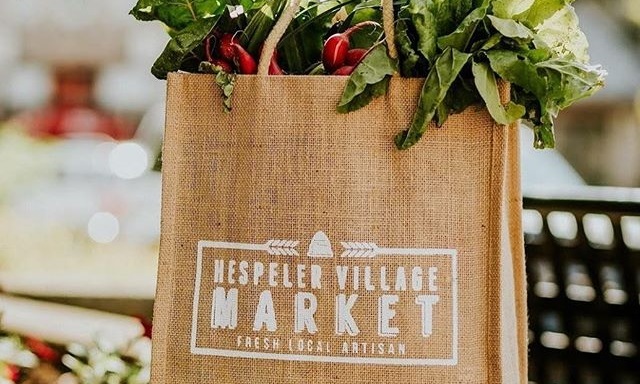 That dramatic and urban artwork will form something a village focal point or beacon that draws attention to the personality of the new Hespeler Village. Whodunit? Find Out at Grand River Raceway's Murder Mystery Dinner! Waterloo Region has a wide variety of warm and appetizing blends of food and live music, and when live music isn’t on stage, there may be DJs creating the acoustic atmosphere to go with what you’re eating. Here’s a short-list of some favourite venues for food and music in Waterloo Region. Proof Kitchen + Lounge in UpTown Waterloo is ready to host all of your events in their beautiful and functional Private Event spaces. These rooms can be booked for any number of events, and include a number of amenities. Their private dining menu includes a number of food and beverage options.